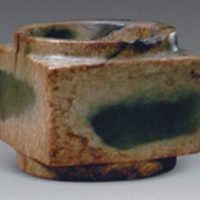 A jade cong of conventional form, carved as a cylindrical tube within a square, with the narrow collars of the cylinder protruding from the square form. The interior shows a line where the two holes drilled from either end meet. 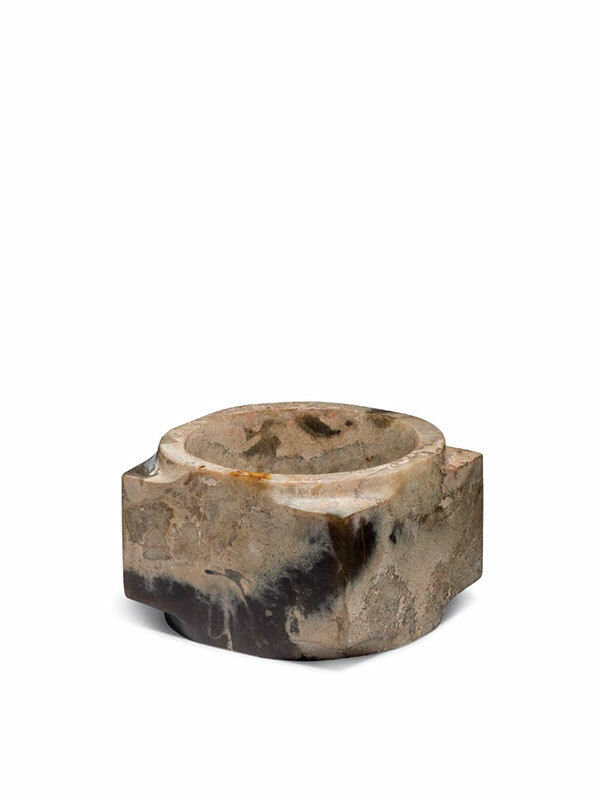 The surface is entirely plain, the semi-translucent, original dark-green celadon stone showing areas of white veining with some crystalline inclusions.